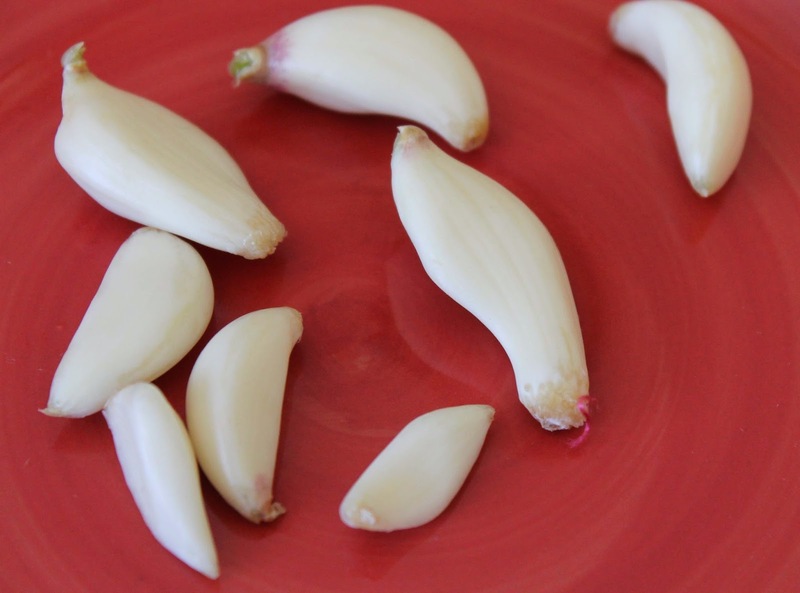 If, like me, you love to cook with fresh garlic you will love this handy tip for how to peel multiple cloves in a few short seconds. 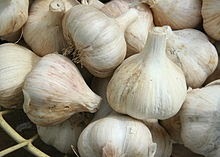 Lately, I've been buying the pre-peeled garlic being sold in produce departments that is packaged in sealed pouches containing six to eight garlic cloves. I find it very handy to be able to reach into the refrigerator for a couple of peeled cloves to mince up quickly for a recipe. Peeling garlic is not my favorite thing to do. The other day I went to buy one of those packages of peeled garlic loves at my local grocery store only to find that they were out of them. "They are on the next shipment," I was told. Hmpf, I've been told that before. I had a couple of bulbs of garlic at home in the pantry, so home I went. I needed some garlic for a slow cooker recipe I was making. 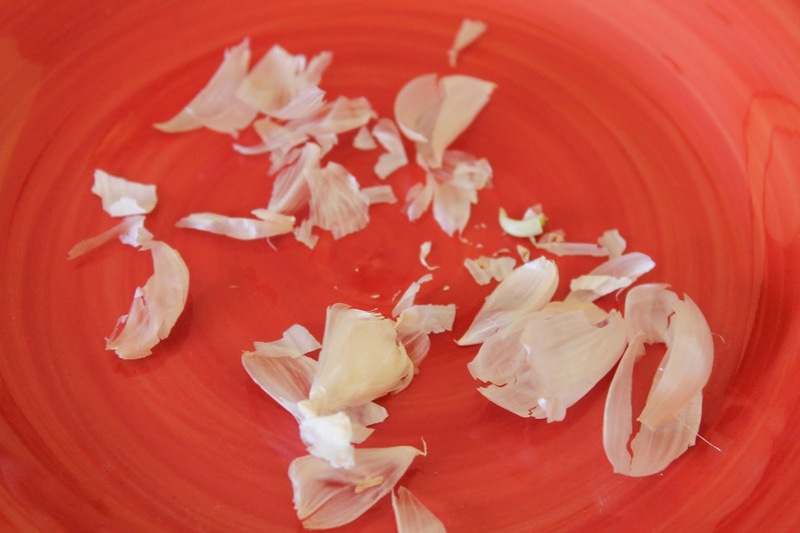 As I began to pull the cloves of garlic from the bulb I remembered a garlic peeling tip I had heard some time ago, but never tried. All you need in addition to your garlic cloves is a metal bowl and a cover. I used a small plate as the cover for my bowl. Just toss your unpeeled garlic cloves into the metal bowl. Cover the bowl with the plate and shake. Shake like your life depends on it for about 30 seconds, then take a look. All that banging around in the bowl should leave your garlic cloves clean as a whistle. It worked for mine as you can see below. All of the peels will be left in your bowl. Mine were. Isn't this a great tip? Thirty seconds and your garlic will be as clean as can be with no smelly, sticky fingers to deal with. 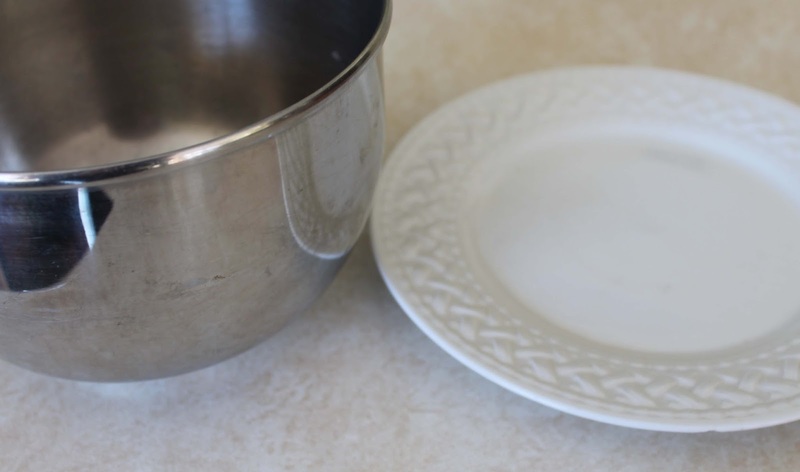 First, make sure the bowl you use is metal and medium to large in size. You want plenty of room for your garlic cloves to bang around. Second, separate the cloves from the garlic head by giving the whole head a good bang on your counter before putting the whole head into the bowl. Practice a little. It's all in the technique! Good luck with this tip. Really? I must try this!! !